The idea to develop a system mediating assistance for the elderly, disabled people and other socially disadvantaged groups of people originated around the year of 2007 at FBME CTU and 1st Faculty of Medicine in collaboration with the associate professor Jeřábek from the Center for vertigo disorders of Motol University Hospital. There have been circumstances supporting this idea such as demographic changes, growth in average life expectancy or for instance improving the quality of life even in advanced age. Although the field of assistive technologies is not that attractive to appear on the front page of the media on a daily basis, it has been experiencing a rapid development anyway. The aim was to develop a simple and mechanically resistant box - a special phone helping people in emergency situations - anytime and anywhere, whether they ask for assistance themselves or they are not able to do so for different reasons. Such a magic box was supposed to have a simple controlling - only one SOS button - to make its use in difficult emergency situations as easy as possible. These can be caused by sudden or chronic health problems, worsened balance and potential falls or for instance as a result of an assault. Our solution is not just to supply the box but mainly supply a complex service. Due to the development and unstable terminology it is possible to come across the expression of a surveillance service or a remote assistance service. After finishing the development in 2010, the expression Senior Inspect was chosen for the assistance service and within the introductory tests we focused on refining the system in order to provide secure and reliable assistance service under all circumstances. Over the next years we established a close cooperation with partners such as Vodafone, Život 90 (Life 90), Eurocross and Anděl strážný (Guardian Angel); we have presented the service in the D-Day program and launched its pilot operation for example in Sweden, Denmark or Slovakia. Since the beginning of 2015 the assistance service has been operated under the new Protectu brand name by the same team in the Mobilní asistenční systémy, s.r.o. company, which has been specializing only in operating and developing the assistance services. Our partner Anděl strážný (Guardian Angel) offers the assistance service within the emergency care mode. During the time of providing the assistance service we have helped hundreds of the elderly, sick and physically disabled persons. Moreover, thanks to physical activity monitoring, we can confirm a positive impact of using the assistance service on health and physical condition of our users. Future of assistive technologies consists in the intention of improving the device ergonomics so that the assistance service user does not even know about it until he needs that. And as soon as he needs that to minimize the time between the beginning of the emergency situation and providing the assistance. A significant role will definitely be played then by involvement of telemedicine and ongoing monitoring of the health condition.  More about the Protectu assistance service.